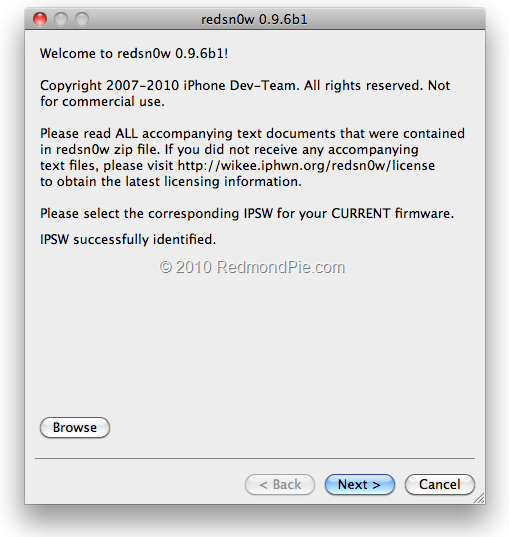 Even though the newly released Redsn0w 0.9.6b1 officially supports iOS 4.1 and iOS 4.0 only, but MuscleNerd of iPhone Dev-Team has confirmed that iOS 4.2 Beta can also be jailbroken (on iPhone 3G and iPod touch 2G only) using this release of Redsn0w but don’t expect everything to work flawlessly. So there you have your confirmation. If you are feeling adventurous, you can go ahead and try it out now. Make sure you point Redsn0w to iOS 4.1 and NOT iOS 4.2. Rest of the instructions will be similar to the one posted earlier here.